Welcome to Fusion Bag Company! Home of your global experts in laminated woven bags, specializing in BOPP WPP SOM EZO style bags. Why BOPP WPP SOM EZO? This package style the most aesthetic, durable, and economical packaging option on the market! Ideal for various products such as animal feed, pet food, seeds, chemical, industrial, and more. Why are we the experts? Fusion Bag is part of a vertically integrated manufacturing group specialized in developing, designing, and manufacturing laminated woven bags for various industries. We have many years of experience working with clients in North America to upgrade their existing package, most commonly a Paper Multiwall bag, as a seamless switch to the superior BOPP WPP SOM. Our state of the art factories in multiple Asian countries are built with dedication to the continually evolving international market demands, with a growing capacity to supply over 200 Million bags per year. 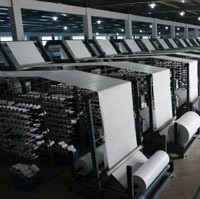 The manufacturing processes are well integrated from raw materials to finished bags. 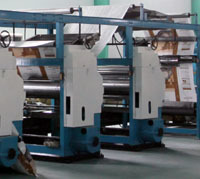 We use only pure virgin resins and environment inks, while strict quality systems are enforced throughout the process. Our factories are certified by many quality audits, including, ISO9001 and ISO14001, with 100% product traceability. With our U.S. Headquarters well located in the center of the country, Elkhart, Indiana, we are committed to providing you, our most valuable customer, the most reliable product with local efficient customer service and global competitiveness. No job is too big or too small for the quality and service you deserve, bring your needs to Fusion Bag Company and let us prove it!